In this article, you will get some important General Knowledge Quiz Questions with Answers About The Highest, Longest, Largest, and Smallest in India. which is very helpful for all the students of admission, BCS and all kinds of job seekers. If this article helps you, then let us know by comments. To your success Knowledge World General Knowledge General Knowledge Questions on Highest, Longest, Largest, and Smallest in India. 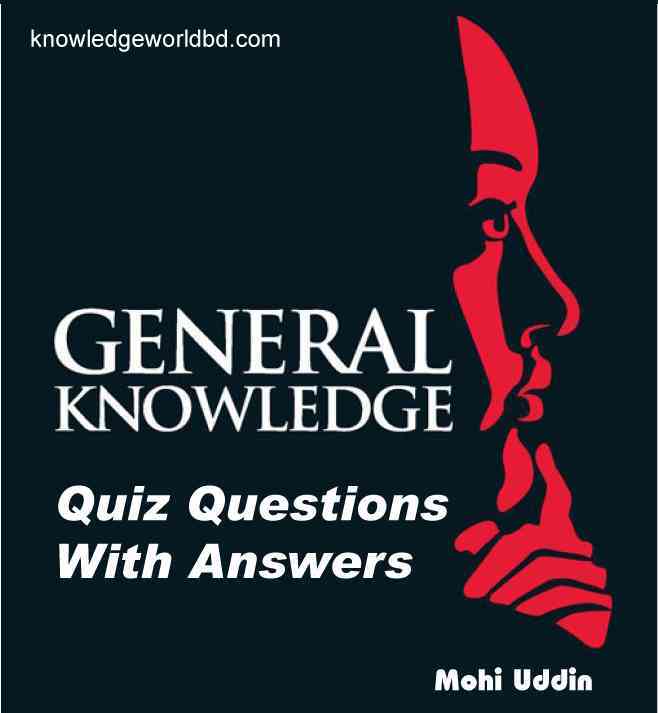 In this article, you will get some important General Knowledge Quiz Questions with Answers About The Highest, Longest, Largest, and Smallest in India. which is very helpful for all the students of admission, BCS and all kinds of job seekers. If this article helps you, then let us know by comments. General Knowledge Questions on Highest, Longest, Largest, and Smallest in India. Questions - What is the name of the Largest corridor? Questions - What is the name of the largest cantilever span bride of India? Questions - Which is the largest port in India? Questions - Which is the largest lake in India? Questions - Which is the largest saline water lake in India? Questions - Which is largest artificial lake (man made lake) in India? Questions - Which is largest fresh water lake in India? Questions - Where is the Smallest State (Area) of India? Questions - Longest Electric railway line of India is? Questions - The most Densest populated State of India is? Questions - Which is largest populated city in India? Questions - Which is largest state of India? Answers – Rajasthan State of India. Questions - Which is the state wise largest area under forest in India? Questions - Which is the largest delta in India? Questions - Which is largest river without delta in India? Answers - Narmada and Japti. Questions - Which is the largest public sector bank in India? Questions - The largest animal Fair of India is held? Questions - Which is the largest dome in India? Answers - Gol Gumbaz dome at Bijapur. Questions - Which is the largest zoo in India? Questions - What is the name of the longest tributary river of India? Questions - What is the name of the Largest Mosque of India? Answers - Jama Masjid, Delhi. Questions - Where is the State with longest coastline? Questions - Which is the largest museum in India? Answers - India Museum at Kolkata. Questions - Which is the largest river island in India? Questions - Which is the largest planetarium in India? Questions - Which is the largest desert in India? Answers - Thar desert (Rajasthan). Questions - Which is the largest district in India? Questions - Which is the largest area wise state in India? Questions - Which is the largest populated state in India? Questions - Which is the largest cave in India? Questions - Where is the Largest Port of India? Questions - What is the name of the Longest river of India? Questions - Which is largest cave temple in India? Answers - Kailash Temple, Ellora (Maharashtra). Questions - Where is largest animal fair held in India? Questions - Which is the largest auditorium in India? Questions - Which is the largest Gurudwara in India? Questions - Which is the largest Church in India? Questions - Which is the Largest Planetarium of India? Answers - Birla Planetarium (Kolkata). Questions - What is the name of Largest Church of India? Questions - Which language next to Hindi spoken by largest number of people in the Indian sub continent ? Questions - Which is the largest Mosque in India? Questions - What is the name of the Largest railway route of India? I like the valuable information you provide in your articles General Knowledge Questions on Highest, Longest, Largest, and Smallest in India for BCS and Admission test I'll bookmark your weblog and check again here frequently. I am quite certain I will learn many new stuff right here! I read this article General Knowledge Questions on Highest, Longest, Largest, and Smallest in India for BCS and Admission test completely regarding the comparison of most up-to-date and preceding technologies, it's amazing article. Thanks for publishing. Longest and Largest in the World, Longest and Largest in India, Highest in India, Highest World, Biggest in India, Biggest in World.